This whole fashion thing you've taken on has some BIG issues. Should you wear fur, for example? Let's say you say NO to fur. But would you wear shoes made of leather? Leather comes from dead animals too. And should you just buy the cheapest clothes? Or do you worry about the workers? If their bosses paid them very little, could that be WHY they are so cheap? Look at the labels in your clothes. 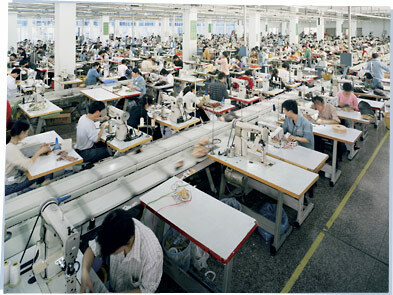 Many of our clothes are made in countries where wages are low and the hours people work are long. Even a "Made In USA" label may not necessarily mean something was made in any of the fifty United States where US labor laws apply. It sure is a lot to take in. So for this page, I've put together a longer list of links than we normally do, and you can decide what you're interested in. Now you can find more about. Take your time. How can someone like me make any kind of difference? Besides just walking around in a towel all the time? The ONLY way to make a difference is to do what you are doing: to learn all you can about this stuff, and then make small changes in your choices. Your fashion show, for instance — look at all the cool green clothes you showcased! The only reason I know about new shirts made out of corn is because you told me about them. And now I own three! That's not very green of you, dad. To buy three. True. There's always room for improvement! 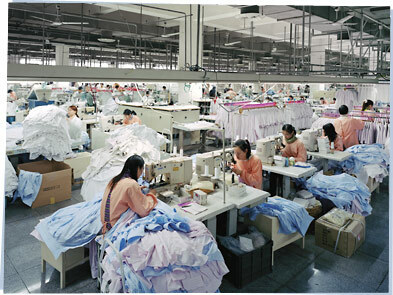 TreeHugger, "Eco-Tip: Choosing Green Clothing"
New York Times, "Can Polyester Save the World?" The Guardian, "That Little Green Dress"
BBC NewsRound, "What is The Fur Industry?"